Minuteman Missile National Historic Site is located in South Dakota near Badlands National Park. Its mission is to tell the story of the Minuteman Missiles, nuclear deterrence, and the cold war. The main visitor center is right off exit 131 on Interstate 90 and anyone traveling this area should take the time to check it out. 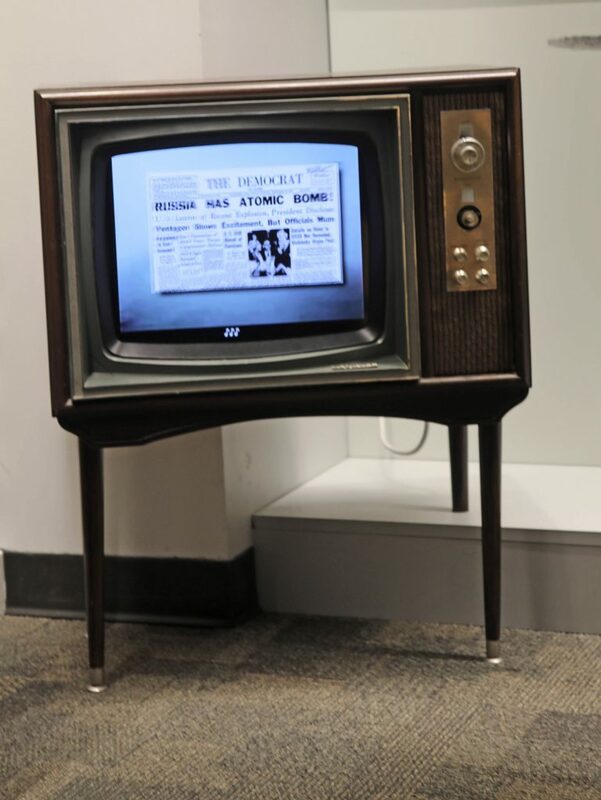 The visitor center has several displays and video that brings the cold war to life. The displays tell the story of a war that was unlike any other war. It was, and still is, a war of deterrence and not of man actually fighting and remains one of the most important in American War History as well as World War History. I was curious as to why there would be a Minuteman Missile National Historic Site in South Dakota, it just seems like a strange place to have this story told. 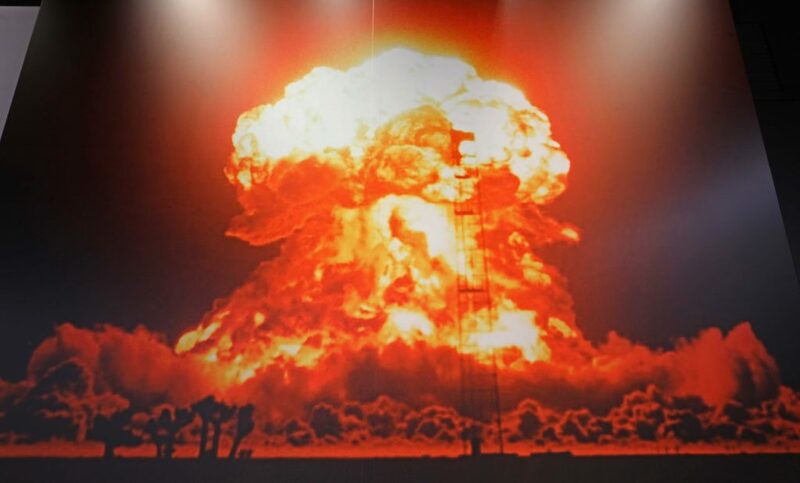 Russia was our biggest threat for nuclear war between the 1960’s- 1990’s and the cold war was fought through economics, culture, and politics until the collapse of Soviet Union in the early 1990’s. The Minuteman Missiles were strategically placed in North & South Dakota as the missiles could fly over the top of the earth and reach Russia within 30 minutes. There are also two other locations; the Delta-01 location is by tour only and the Delta-09 location is right off Interstate 90 off exit 116. It blew my mind when we drove up to the Delta-09 location and to see that there used to be a Minuteman missile located right off the interstate with thousands of people driving by each day completely unaware of a 1.2 megaton nuclear warhead practically next to them! 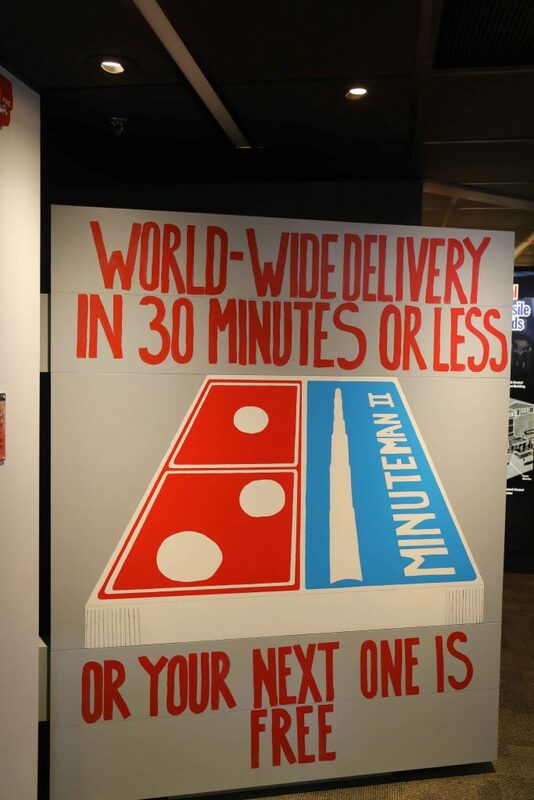 Each Minuteman 2 Missile had the explosive equivalent of over a million tons of Dynamite! Left: Entering the Delta-09 location with Minuteman Missle. Right: Looking from the Minuteman Missle location to the parking lot and Interstate 90. The Delta-01 Tour is a ranger-guided interpretive tour of the Launch Control Facility at Delta-01. The tour takes you through the day to day life of the eight employees stationed on the topside of Delta-o1. You then take an elevator 31 feet underground to see the Launch Control Center. Be aware that you have to agree that you can climb two 15 foot ladders unassisted if something were to happen to the elevator. 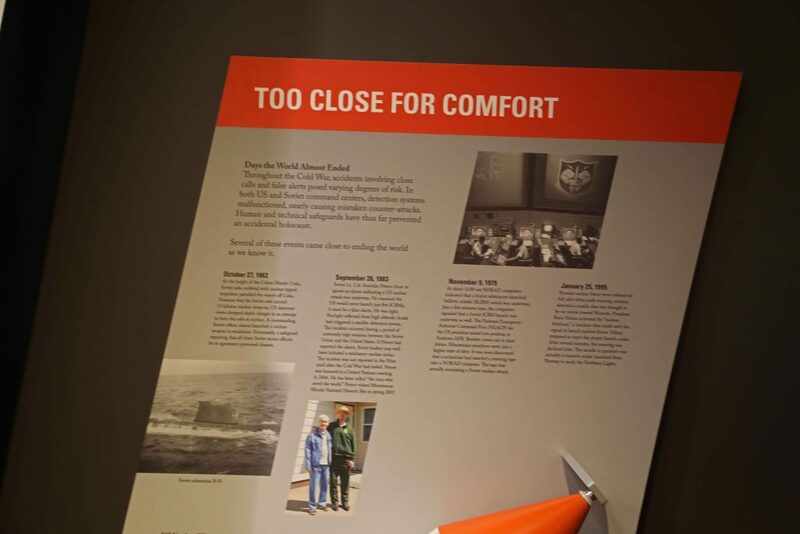 Reading stories of how close both sides came to launching nuclear warheads! How do I reserve tickets for the Delta-01 tour? Tour tickets can be made via phone by calling 1-866-601-5129 or online here. You can make reservations 24 hours to 90 days prior to arrival at the park. There are no same day reservations. Only 6 people are allowed on the tour. Launch Control Facility Delta -01 is 4 miles from the visitor center. Make sure to plan ahead if you want to take the tour. Many people make reservations for this tour 6-8 weeks in advance and tours can be filled up weeks in advance. I really like to promote the Junior Ranger Program and we do them everywhere! You may think it sounds crazy that a Park Ranger actually likes doing Junior Ranger programs but let me explain. I had another ranger best describe the program to me. He stated that the Junior Ranger program was designed for someone coming into the park at a 10-year-old mindset and not knowing much about the park. The tasks in the Junior Ranger activities book makes it fun to go learn more about the park you are visiting and even I always seem to learn something! At Minuteman Missile you can possibly participate in a hands-on activity to build an air rocket, talk about fun! Check with the visitor center for the exact times for this activity. 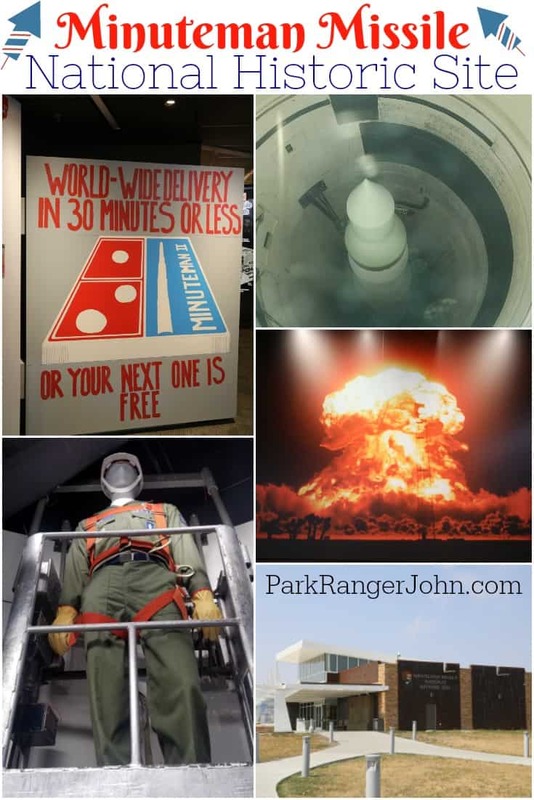 Let me know if I can answer any questions about visiting Minuteman Missile National Historic Site or any of the other parks in the area!